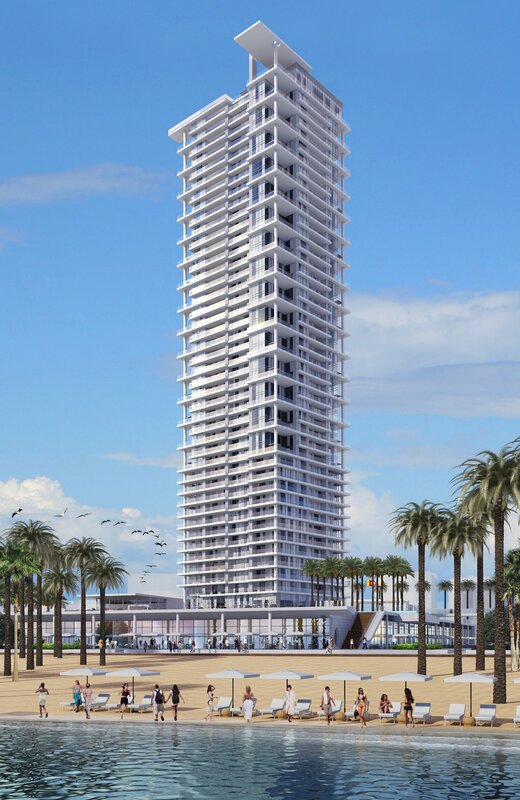 Scheme design of a 45-storey tower. The upper stories are to be residential hotel space, whilst the lower levels are to be communal areas, including a swimming, with an underground car park. The proposed structure is generally of reinforced concrete construction, founded on a piled raft. Pre-stressed concrete slabs are to be utilised throughout, to achieve long, column-free spans at with a reduced slab depth. The lateral stability of this high-rise tower is to be achieved using reinforced concrete shear walls.